What does being Muslim mean? How do we retain our identity? How do we create a Muslim environment? We need to follow the Prophet’s (peace and blessings be upon) character. What is distinct is his patience, tribulation from the people is normal. Be patient forgive and overlook. The Prophet (peace and blessings be upon) said, “Love for your brother, what you love for yourself.” He (peace and blessings be upon) also said if he was called to an alliance he would’ve gone to it because it helped the weak and suppressed. How do we realise this tolerance? The Prophet (peace and blessings be upon) prayed over the Abyssinian (may Allah’s mercy be with him). None of the slander will get to him (peace and blessings be upon). Another person came him (sh Hamza) and said, “I am at 69th excuse for you.” We are supposed to look for 70 excuses for your brother. A student of knowledge biggest blessing is being a student. Time. Some books took him years to finish because they had a long-term benefit in them. Qadi Iyad said; "This hadith has explained all the inward and outward duties, of servitude and worship to Allah Subhanu wa Ta’ala. Established for us what the foundations of faith are, key outwards works, the means inward sincerity and how one preserves ones work for corruption. In reality all the branches of sacred law return to this hadith and branch out from it." This has the word of the Prophet (peace and blessing be upon him) and the events that took place, which is something we don't always get. Sheikh Adeeb Khalas said, " A student of knowledge has to break his knees." He took notes even though he had been teaching it for 50 years, whilst sitting in on a lesson given by Sheikh Abdul razzaq Al halabi. 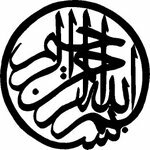 He Gibril (upon him peace) said "Ya Muhammad." (peace and blessing upon him) which was strange as well, in some accounts we have Gibril (upon him peace) give salam and then asked to approach. When Ali ibn Abu talib (May Allah Ta’ala be pleased with him) would hear the call to prayer he would turn pale and say, " It is time to furfil the trust that heavens and the earth refused." Allah's (Subhanu wa Ta’ala) promise will never be changed. The Quran states; "He who does good and is a believer, we will give him the best of lives." There was a sheppard once, who every time he prayed one of sheep died, until he had two left, he looked at them and said, "Will you shut up or shall I pray 2 rakat?" Do you think that really deserve to be forgiven, when you are asking for forgiveness or are you just doing "lip service." Do we furfill Allahs (Subhanu wa Ta’ala) rights? Do we furfill the Sunna? Do we abide by the Quran? We could all be disobeying Allah Subhanu wa Ta’ala and we could be punished for other peoples sins. At the battle of Uhud, Hamza and the other companions (May Allah Ta’ala be pleased with them) were killed because the archers left theeir positions then the Quresh counter attacked. “Do not be distressed, Allah (Subhanu wa Ta’ala) is with us.” Said the Prophet (peace and blessings upon him) to Abu bakr (May Allah Ta’ala be pleased with them) in the cave as they made migration to Medina from Mecca. He who has Allah (Subhanu wa Ta’ala) how can he lose? Allah (Subhanu wa Ta’ala) informs him not to worry, Musa (upon him peace) is told to hit his staff and the Nile parts, Musa (upon him peace) was told to go but he feared that Pharaoh would come after him. Enough for me Is Allah (Subhanu wa Ta’ala) a blessed protector, said Ibrahim (upon him peace) when he was thrown into the fire. Suraka (May Allah Ta’ala be pleased with them) caught up with the Prophet (peace and blessings upon him) when he was making Hijra, the Prophet (peace and blessings upon him) made dua and Allah (Subhanu wa Ta’ala) send Gabriel (upon him peace) prevented Suraka from coming any further. The Prophet (peace and blessings upon him) asked him if he would like the Jewels of Persia? It was during the Caliphate of Umar (May Allah Ta’ala be pleased with him) that this was realised. On the first night of the Battle of Khandaq, the Prophet (peace and blessings upon him) asked someone to check the trench, no one came forward, he (peace and blessings upon him) asked again and said that would guarantee that they come back, again no one came forward. He asked for a third time and said he will be with me in Heaven. Hudaifah got up and went, he said afterwards he was scared that his aw’ra would be uncovered, as he stood up he saw his clothes lengthen. The only thing you need is patience and you will see things change with you own eyes. If you want to have the best, you need to do well and you’ll have a good life. Bring the Sunna into your houses, minds, ears and heart and you will become light upon light. A man called Nuradeen had a horse that he went to the market to sell. He told someone who was going to buy, "Its a strange horse, you have to say Alhumdillah, to make it go faster, then you have to say Allahu akbar to make it stop. Maryum (Upon her peace) was provided for with food, she shook the palm tree, whilst she was preganat. So when she had Isa (Upon them peace), she was ready to hear the nonsense that the people accused her of, she pointed at him whilst he was in the cot. We can get fooled into thinking that we are providing for ourselves. Allah (Subhanu wa Ta’ala) loves us seventy times more than a parent does. Imam Suyuti (May Allah's Ta'ala mercy be with him) said, “Every time I read the Quran and do tafsir, I find something different." When you are a slave to creation (that is true slavehood). When the servant informed Bishr (May Allah Ta’ala be pleased with him), he ran out to find out who this man was. From hadith, “He who cheats is not from us.” Islam came to perfect noble character. If you please Allah (Subhanu wa Ta’ala), Allah Subhanu wa Ta’ala will make people pleased with you. The people who wanted to burn Ibrahim (upon him peace) took 6 months to collect the wood and when they lit it, the birds could not fly over it. You follow the Sunna by loving the one who gave you the sunna. Bilal (May Allah Ta’ala be pleased with him) said on this deathbed, to his wife, “What is wrong with you? Tomorrow I’ll be with my beloved Muhammad (peace and blessings upon him), I have been waiting to this moment all my life. A sign of love is to love what the person you love, loves, food, books, the people who he loves. When you read/hear a hadith you should imagine that he is talking to you, there are two kinds of love: love of faith and love of beauty. Loving is being the presence of Allah (Subhanu wa Ta’ala) as though he sees you but you know you can’t see him. Love of Allah (Subhanu wa Ta’ala) is like being in an academy in which you go up in levels. 3. You are still behind them and need to catch up. What’s wrong with you, if a tree was screaming. He (peace and blessings upon him) said, “I have left you with two things, if you hold fast to them, you will not go astray, the book and my family.” A hadith in Tirmindi and ibn Hakim (May Allah's Ta'ala mercy be with them). If you want to learn how to drive you go to a driving instructor, so we need to find an instructor. So we can learn how to drive. What is a follow on from this? How do we know whats a correct interpretation? Do we need an Islamic state? The words used in the books of Islam is "Islamic nation " not state.